Lawyers for 10 women suing Baylor for allegedly downplaying and ignoring reports of sexual assault are demanding that the university turn over records given to the private law firm hired to investigate the scandal. 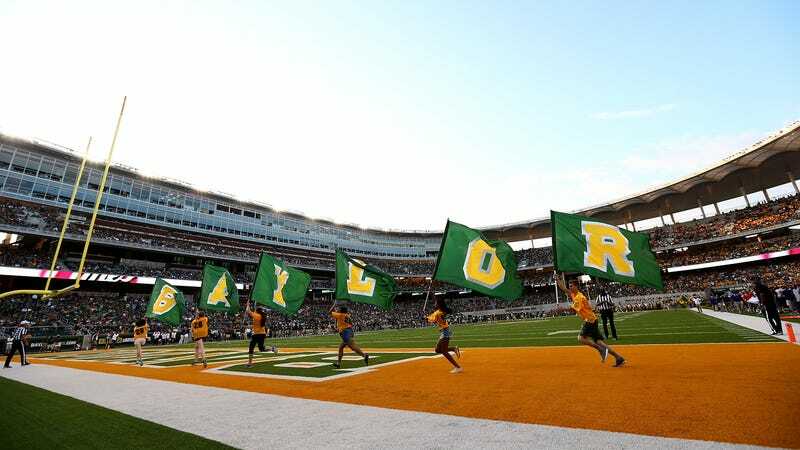 As part of that, lawyers on Wednesday filed a motion outlining how Baylor appeared to change its relationship on paper with law firm Pepper Hamilton in a way to keep records away from any lawsuits or public disclosure. The assertion came in a motion asking a federal court judge in Texas to compel Baylor to “produce all materials provided to or produced by Pepper Hamilton.” The motion was first reported by the Waco Tribune-Herald. But the lawsuits came anyway, and now one of them is fighting to get the information Baylor provided to Pepper Hamilton. As the suit, which covers 10 Jane Does, has progressed, Baylor and Pepper Hamilton have pushed back on producing documents related to the law firm’s investigation, according to the motion. In response, yesterday’s filing argues that the documents shouldn’t be covered by attorney-client privilege and should be produced, and the reasoning includes two letters that appear to show Baylor and Pepper Hamilton altering the relationship between them. The first letter is dated Oct. 5, 2015, titled “engagement,” and sent to university regent David H. Harper from Pepper Hamilton lawyer Gina Maisto Smith. This letter goes on to outline which lawyers will provide services, fees charged, and how billing will work. Afterward, the letter says that all other sections of the previous agreement will remain the same. It was a few months after the change in “engagement” that Baylor released its useless summary of Pepper Hamilton’s findings. Since then, Baylor has continued to tout how much access it gave Pepper Hamilton as investigators, the latest motion argues, but that the university wants all those records to be considered privileged legal counsel for the sake of lawsuits. As recently as March 29, 2017, Baylor’s interim President testified under oath to the Texas Senate Higher Education Committee that Pepper Hamilton was hired as investigators.. ... Dr. Garland, in response to detailed questioning by Senator West, testified that Pepper Hamilton was hired as investigators and not legal advisors. Now, Baylor asserts that Pepper Hamilton was really just acting as its attorneys and legal advisors and therefore it withholds all of the information in Pepper Hamilton’s files. The Court should reject this litigation position and order disclosure. The full motion and both Pepper Hamilton letters are below.